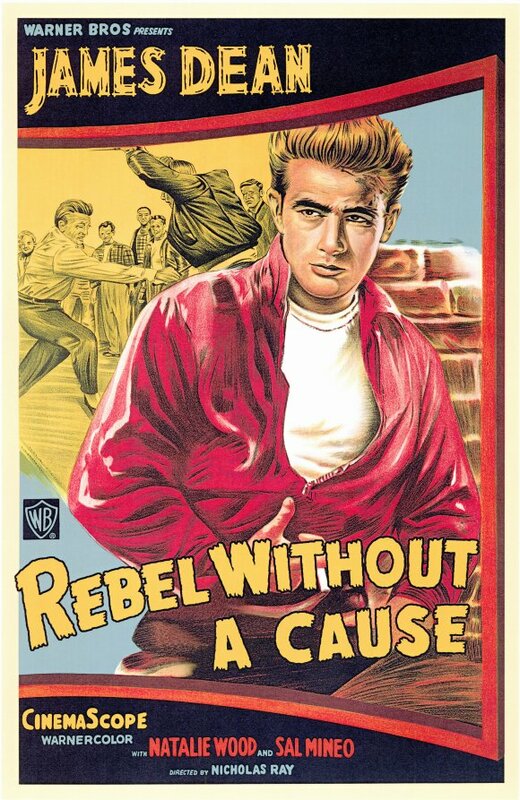 Rebel Without A Cause is a landmark of American culture, identified by the Library of Congress as culturally, historically, and aesthetically significant. It features James Dean in his next-to-last role, with Natalie Wood and Sal Mineo, and a supporting cast that includes Jim Backus and young Dennis Hopper. It adopted the title of a 1940s psychological study and dramatized the “generation gap” (before the term existed). The central theme of it – a suburban middle-class teenager rebelling against parental authority and society’s expectations of him – has influenced countless movies and entire genres of music (starting with rock-and-roll), and has profoundly affected that society itself. Released in 1955 (shortly after Dean’s tragic death), it should have entered the Public Domain in January 2012. This entry was posted in 1950s, Movies. Bookmark the permalink.